America’s No. 2 solar installer plans for aggressive growth, but “seasonality” slows Q4 installs. 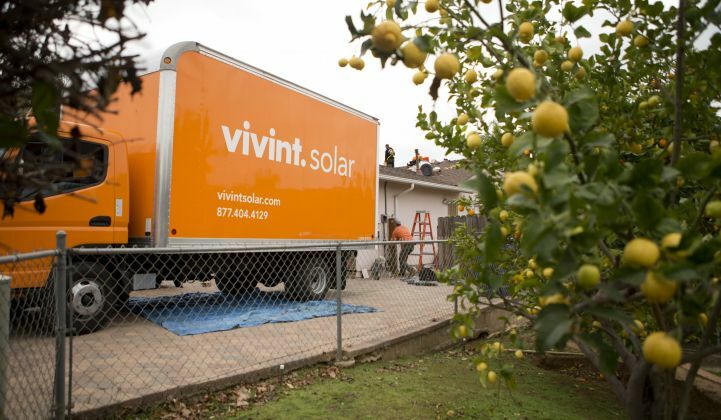 Vivint Solar announced its third-quarter financial results in its first earnings call as a public firm yesterday. Right now, Vivint Solar is the only credible installer-financier of scale that stands as a competitive threat to SolarCity. During the earnings call, Vivint's CEO said that the firm had gone from zero to 15 percent market share "in three short years," while Vivint's CFO said that the firm was "gaining share in extremely large markets." We spoke with CEO Greg Butterfield today. Total revenue for the quarter was $8.3 million, up 266 percent from Q3 last year. Total operating expenses in Q3 were $66.7 million, including "a non-cash stock-based compensation expense of $20 million." Loss from operations was $58.4 million in Q3 versus $13.5 million in Q3 2013. 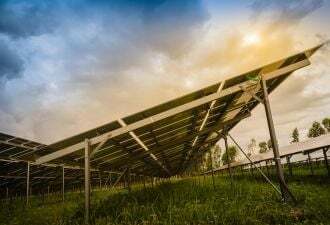 As with competitor SolarCity, conventional accounting methods don't illuminate much when assessing the financials of a distributed power provider engaging in kilowatt-hour sales, twenty-year leases and loan products. That's right: Vivint will be offering loans, according to the CEO. It's just that the firm has been busy. Butterfield said to "look at megawatts deployed." Vivint installed 48.6 megawatts this quarter, up 196 percent year-over-year and beating estimates. The CEO said that represented 6,935 rooftops. The CEO also instructed those on the call to "look at retained value." Estimated nominal contracted payments remaining "increased by approximately $195 million during the quarter and [totaled] approximately $842 million, up 175 percent year-over-year"
Vivint closed 91 megawatts of tax equity funding, with two unnamed partners making tax equity commitments to fund approximately 91 megawatts of new installations. Financing capacity increased "as a result of entering into an aggregation credit facility pursuant to which the company may borrow up to an aggregate of $350 million in term loan borrowings." Equity financing increased in the quarter "due to the sale and issuance of $103.5 million of common stock to 313 Acquisition LLC and two of our company's directors." Deutsche Bank Equity Research writes, "Vivint reported solid bookings and installation numbers for the quarter, but ~$20M of stock comp makes quarterly opex ramp look drastic. Although Vivint’s lack of focus on commercial is positive for long-dated cash flows, short-term installation numbers will be a tough comp vs. SolarCity, which has 20% to 30% commercial in most quarters. We believe the core business remains strong, but investors will have to be comfortable with more seasonality from a company with top market share in several northeastern states." Vivint is opening twenty new offices in its existing markets, prompting Deutsche Bank to note, "Higher penetration rates in northeastern states will drive seasonality in installations and revenue, as well as lower retained value," adding, "The company completed ~5 percent of installs from customers with a relationship with Vivint [Vivint Solar's parent company] in the quarter." Vivint has driven its cost from $3.55 last quarter to $3.12 this quarter, a strong trend. But the Q4 install guidance seemed to spook analysts despite the "seasonality" of New England installations. The stock price is down 22.5 percent to $11.42. It's notable that SolarCity, Vivint's nearest peer, had some rocky early days as a public firm. 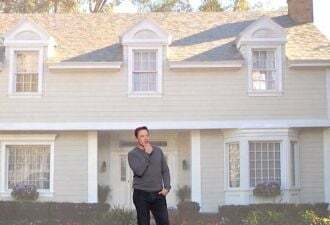 Can Vivint grow as fast as SolarCity given its exclusive focus on residential rooftops? The CEO said, "The company continues to be very bullish about the growth in bookings." CEO Butterfield said, "This year, the business is on track to more than double the megawatts we installed in all the previous years combined." SolarCity and Vivint Solar combined to install 51 percent of all U.S. residential PV in the second quarter of the year, according to GTM Research's U.S. PV Leaderboard. The U.S. added a total of 247 megawatts of residential PV in the same period, making it the segment's second-largest quarter ever. 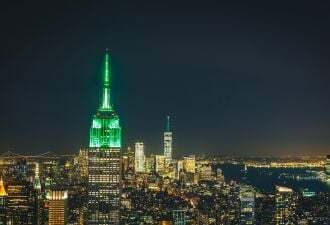 SolarCity, with a market cap of $4.7 billion, continues to lead the market, installing 36 percent of the U.S. residential total, up from 28 percent in the first quarter of the year. 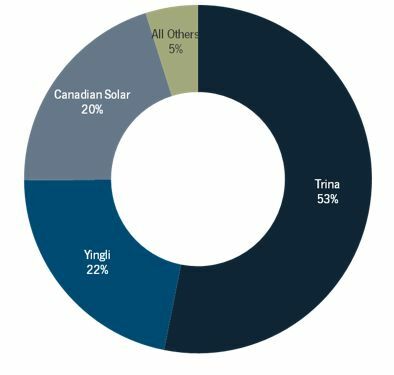 GTM Research's Nicole Litvak provided some analysis on Vivint Solar's suppliers earlier this year: Vivint Solar’s top module suppliers in 2013 were Trina Solar (also the leading supplier to SolarCity), followed by Yingli Solar and Canadian Solar -- three of the top five suppliers to the U.S. residential solar market, according to the GTM Research U.S. PV Leaderboard. Vivint Solar used only Zep Solar mounting structures until that supplier was acquired by SolarCity.